Last night, I decided to make the Wild Rice Salad with Oranges and Roasted Beets from Appetite for Reduction by Isa Chandra Moskowitz. It turned out great so read on! I started off by steeping the wild rice. 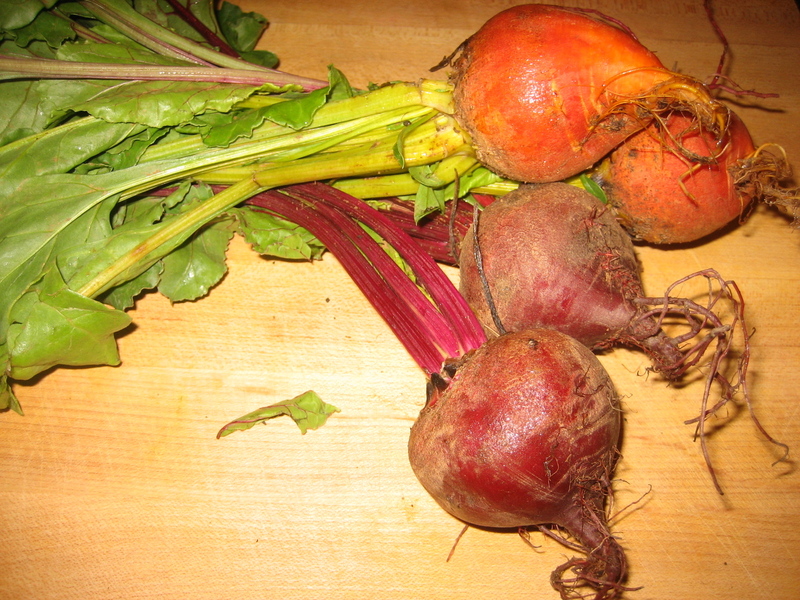 Then, I put the beautiful assortment of beets that I picked up from the farmer's market on Saturday morning into the oven to roast. Once the beets were roasting, I took the beet greens and sauteed them in olive oil and garlic to preserve them as they wilt soon after being separated from the beets. Then, I prepared the navel orange segments as indicated in the recipe. Navel oranges do not have any seeds so they are great for salads. Next, I toasted the sesame seeds by putting them in a pan over medium-low heat. I tossed them for a couple minutes and they were perfect. You have to be careful because as soon as you turn around, they could burn and then you'll have to start all over again. Lastly, I made the Orange-Sesame Vinaigrette dressing that had orange juice, red wine vinegar, toasted sesame oil, salt, Sriracha sauce and finely minced fresh ginger. Once everything was done, I combined the orange, sesame seeds, dressing, wild rice, currants, red leaf lettuce and beets in a bowl and ta-da, I had a great salad. The flavors blended well together. I like the way the orange complemented the beets and the slight spiciness of the dressing brought it all together. Although it is a bit time-consuming for a small salad, I really like the way it turned out.